Joella Givens is a GIS leader in many arenas. 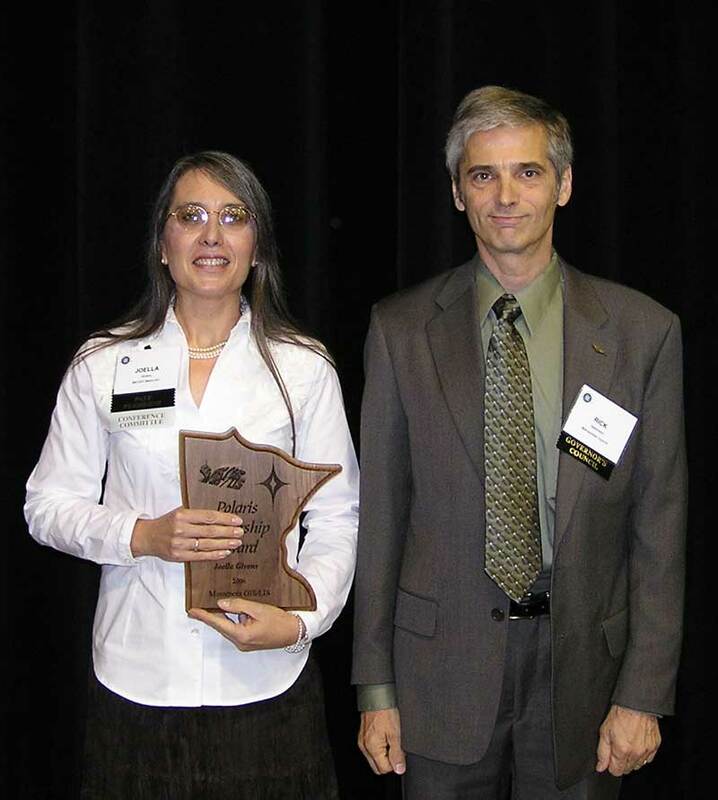 She has done innovative work for the state legislature, DNR, MnDOT, Washington County, and the private sector. At the same time, she has volunteered significant energy to the Mn GIS/LIS Consortium where she has served as chair, conference chair, and workshop chair. At the legislature, she helped build the first redistricting office. 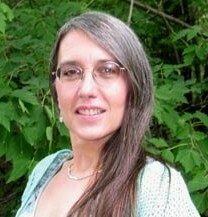 At DNR she created the first statewide vector datasets for watersheds. At Washington County she engineered the database conversion from UltiMap to ArcInfo. At MnDOT, where she has been since 1998, she continues this record of leadership, energy, and creativity. She built the GIS support structure for the Metro District, and co-engineered the design and implementation of the GIS support structure for all of Mn/DOT. Joella also contributed significantly to the development of Mn/DOT's interactive BaseMap web site, making Mn/DOT's data even more accessible to the GIS community. 2006 Polaris Award recipient Joella Givens with nominator Rick Gelbmann.